This was the view from Derek Mason's studio in English Bay, Vancouver, where I recorded "Walking Tall" in 2013. Sadly, Derek (producer/engineer/musician extraordinaire) passed away from cancer in 2015. His wife, Anthea, has created this page in tribute to him and to raise awareness for esophageal cancer. Chris Barber and Jessie Chou are kind, generous, and exemplary people. They founded the Good Day Sunshine Cafe in South Surrey and regularly opened their doors after-hours to host artistic and musical events. The supportive environment and community they fostered was integral to my development as a performer. They have moved on to a new business venture, EVERBEAN, in White Rock. Check them out if you're in town and in search of a delicious coffee or delectable snack! My husband, Tomy Hovington, pours his heart and soul into making beautiful hand-crafted mandolins and guitars. Check out his website and his facebook page for more photos and progress updates from "The Shop." I met Jake through his parents, with whom I've been playing music over the past year. When I heard he was a photographer, I checked out his work and it blew my mind! He's got a fantastic eye for composition and colour -- a true artist with the camera. I am thrilled with how the shots for my album turned out (he also did the design/layout of the liner notes). You can check out more of his work here. I'm so grateful to have had the opportunity to play music with these guys for over a decade! We released two albums together: "Reflections" (2006), and "Thicker Than Water" (2010). 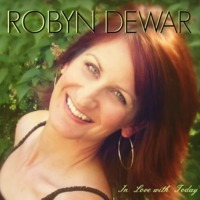 Robyn Dewar is a talented singer-songwriter from Haileybury, Ontario. We 'met' while undertaking the Six Songs in Six Weeks Songwriting Challenge through the Songwriter's Association of Canada. For the last week we got to co-write a song together, which was an amazing experience. You can hear our song, "Borrowed Time," on Soundcloud. Check out Robyn's website!